Nature unfolds her fall color. This majestic oak tree many generations old is located in a historic area of Fayetteville, Arkansas. 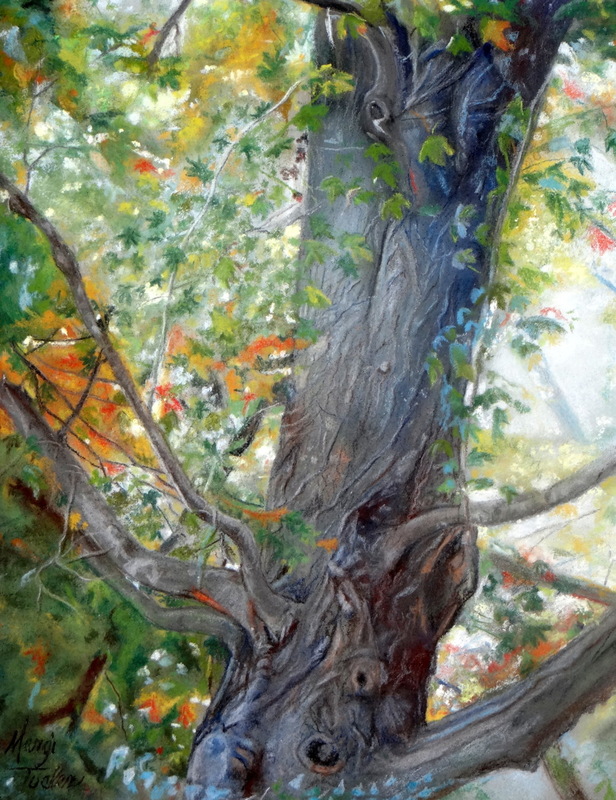 The many layers of colors and engrained bark give the tree a mystical alive feeling. The original is in a private collection. 6.5" x 5"9" x 7"11.75" x 9"14.25" x 11"17" x 13"20.5" x 15.75"